Challenges of Sailing Single-Handed – Breaking Out! You will need to be very skilled to anchor single-handedly without hitting something like a seawall or another vessel. In bad weather, the wind and rising currents do not make it any easier. You could damage your boat and end up in a really tricky situation. Usually, when sailing, one person is usually asleep while the other is keeping watch. When sailing single-handedly, you will have to figure out how to deal with both. If you go to sleep, you put the security and safety of your sailboat at risk. Sickness and injuries are inevitable. What happens when you get sick alone in your sailboat? Well, you will need to stop wherever you are and nurse your injuries, or wait until you feel better. Sometimes, you will need to struggle and keep the boat moving despite your sickness in situations such as bad weather. For as long as the boat will be moving, you will have to be at the steering wheel. It is pretty much like driving a car; the car will only move if you drive it. While sometimes the winds can be helpful, you will still need to steer the boat in the right direction or risk being crushed against something, like another boat. Also, your ability to attend to other things is limited. You will need time to prepare your meals and eat them. It is easier to pack canned food and reach out for one while doing something else, but tasks like steering will need some good focus. 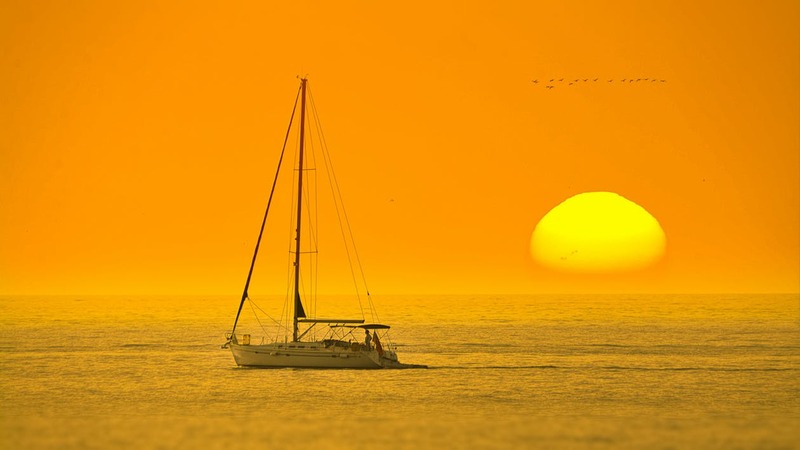 When sailing alone, there will be a lot to be done and very little time to rest. If you are steering, you will be repairing something, or preparing your meal or doing something else. Fatigue reduces your focus and motivation, and you will constantly be pushed to the limits of your mental and physical strength. Humans are social beings, and even those that enjoy solitude will miss human company at some point. This is worse when you have a family that you left behind. Conclusively, sailing alone will be a gruesome experience if you do not have good skills and mental diligence. If you are planning to set out on a sail alone, make sure that you will be able to handle these extreme situations alone.